♦ Rates are shown per pax and are applicable until 31st October 2019 but are subject to change without prior notice. ♦ Walk or rent an individual cart. In the case of 5 player flights carts are compulsory. 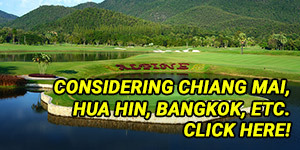 ♦ Carts cost 600 THB/pax, payable at the pro shop. 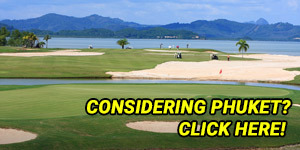 ♦ Caddies are compulsory on all Pattaya golf courses. ♦ If a player has played not over 3 holes - a 9 hole green fee rain check will be provided. ♦ No rain checks on Sports Day. Minimum cancellation is at least 7 days in advance. No-show and minimum cancellation penalty is 100% of green fees. Pattana Golf Club & Resort is an all-encompassing sport and recreation resort destination dedicated to individuals, families, and groups of health inspired living. Located a mere 90 minutes from Bangkok, neighboring the coastal areas of Bangsaen, Pattaya, and Rayong, the 400 acre resort property boasts a full range of premium accommodations and amenities, meeting and event facilities, championship 27-hole golf course, and 7,000 capacity stadium. Pattana Golf Club & Resort was opened in December 2004 in loving memory of the founder’s husband, Dr. Pattana Juangroongruangkit who established the Thai Summit Group. Dr. Pattana’s deep passion for the game of golf inspired him to diversify the business into the golf resort and hotel businesses. Unfortunately, before his dream was realized he passed away. 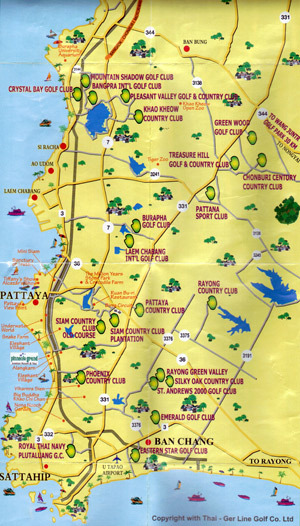 In continuing with the vision, Dr. Pattana’s wife, Dr. Somporn Juangroongruangkit, went on to found the Pattana Golf Club & Resort. The legacy of the dream for a sport and healthy lifestyle destination for all families and individuals of all ages continues on at the Pattana Golf Club & Resort. The 5th hole on Course A is very unique, due to it being a 631-yard, Par-6, which you don’t get the chance to experience too often. You will find a long layout that has a stretch of water to the right with OB behind, so you have to be careful. The best part about this hole is that you can reach it in 3 good and solid shots, which gives you an eagle opportunity.